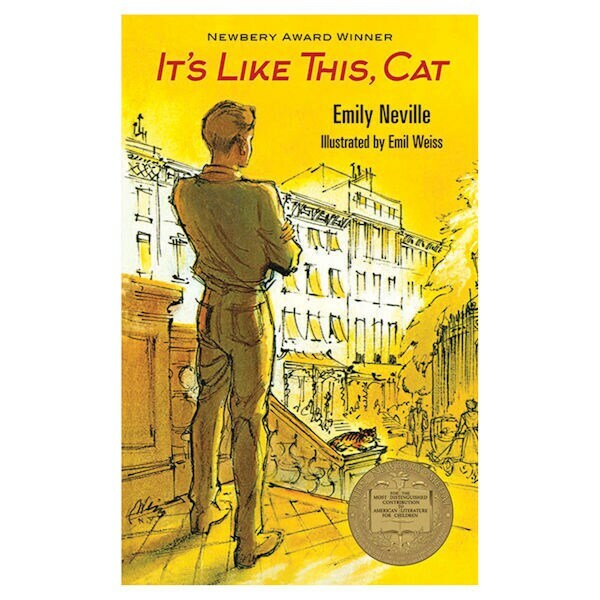 This fast-paced and thought-provoking Newbery-winning novel from 1964 features fourteen-year-old Dave Mitchell and his adventures in New York with an unlikely new companion: his cat, Cat. The story fully takes stride when Dave meets an unlikely, possibly criminal friend on a wild hunt for Cat. As Dave begins to mature, he grows closer to the not-so-villainous villain. It turns out he is just a boy out of college, scrounging by and trying to make a living. Dave begins to find peace with his father when his family bonds together to help the Cat-loving older boy. Meanwhile, Dave becomes infatuated by a girl he met earlier on the beach who took an interest in Cat, and learns that he can have actual conversations with the opposite gender, not just the false giggly kind he despised so much. Overall, It's Like This, Cat is about a family coming together to support those they love, a boy learning the ins and outs of a very curious world, and a wonderful Cat cleverly making it all happen (in between naps, of course). It's a tale of forgiveness, and how what people see on the outside isn't always the same on the inside. There were some good laughs, and the characters were relatable and lovable. I enjoyed this book immensely.